NGINX Plus is trusted by the world’s most innovative enterprises to deliver critical sites and applications to their users. Now you can take advantage of the extensibility of NGINX Plus by offering your solution as a dynamically loadable software module. 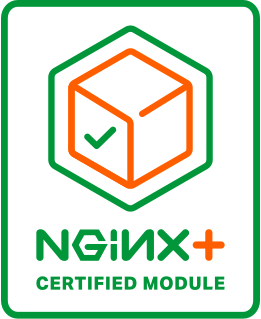 Customers will benefit from the ease of deployment, improved integration, and better performance of your solution offered as an NGINX Plus Certified Module. By becoming a partner you’ll benefit from NGINX, Inc. assistance through all phases of your module's life cycle, from design, implementation, and testing through to deployment in customer environments. Interested in Certifying Your Module?